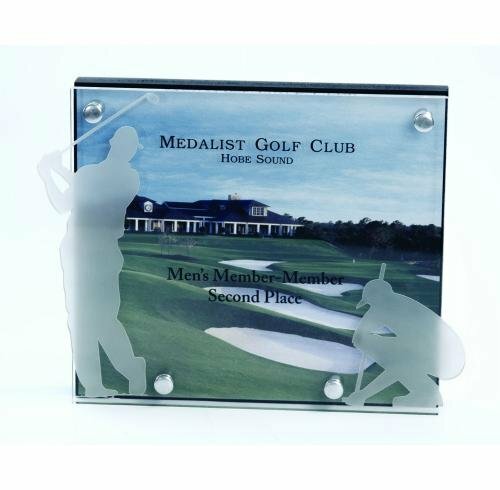 Capture the memory and pride of achievement with these striking, yet affordable, golf commemoratives. 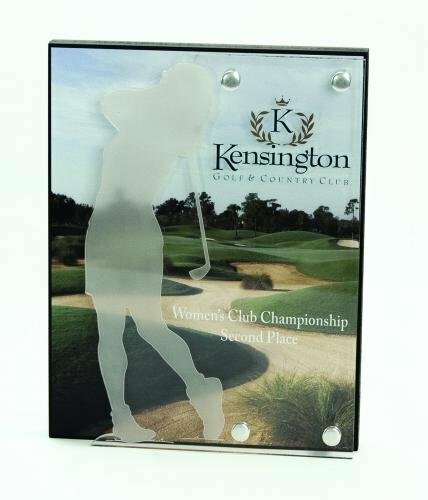 Digital imprinting allows you to capture the image of your event course's signature hole, clubhouse, or other important image. 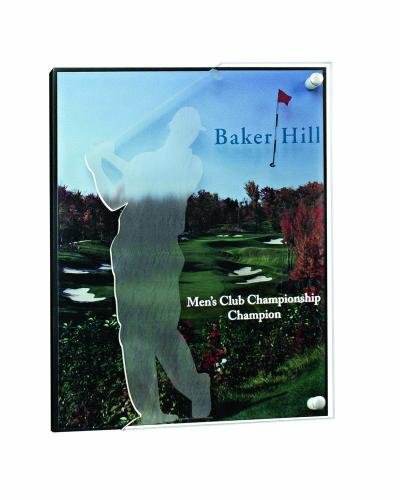 The custom golfer cutout on the acrylic overlay is available in male and female versions for both singles and doubles. The design of the Annular Award features a centered circle within another, which represents focus. This award fits the employee who is focused on their career goals. For them, the Annular Award is a perfect choice. The magnificent crystal plate on top of the royal black glass base gives new meaning to any recognition experience. 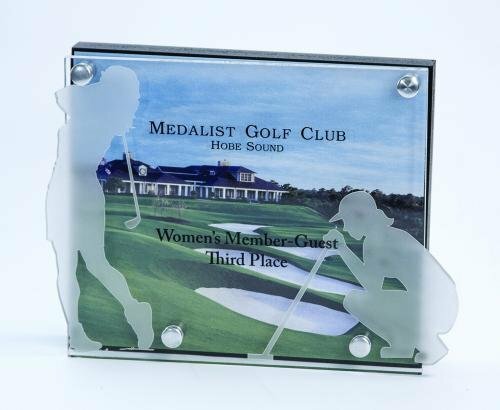 Make a lasting impression by choosing the Astoria Plate for an upcoming recognition event.